There are so many powerful genealogy TV shows and family history videos. Here are a few family history—and general history—videos that are of particular interest to me. From time to time I like to re-watch these videos—it’s that time again—so I am watching these in the last weeks of this summer. 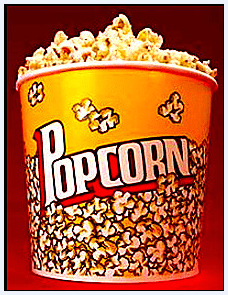 I thought you’d like to grab the popcorn and watch them too. This was the evening keynote session of the 2010 National Genealogical Society annual conference. A powerful, short video about genealogy research—with memorable remarks by David McCullough and Henry B. Eyring. This program sums up what drives us as genealogists to do what we have done for the past 100 years. The Ken Burns series The Civil War first aired September 23 to 27, 1990. Powerful—it is just as riveting now as it was 24 years ago. The impact of David McCullough’s narration and Shelby Foote’s historical insights clearly frame the war, year by year. Inspiring miniseries that speaks to the life and hardships of John Adams and America at the time of the American Revolution. Watch every episode of this long-running genealogy TV show, which is now in its 5th season here in the United States. Each segment is aimed at demonstrating how easy, fun and compelling family history is. This popular family history show is must-watch TV. This popular TV series showed how seemingly unrelated events, inventions and discoveries were each essential for progress to be made and new tools to be created. It tied historical events together in a way not demonstrated in any other program. Each episode focuses on a family heirloom, with the goal of seeing exactly how the heirloom fit into the family’s personal history and the history of the area at large. Family traditions, newspapers and old documents are all researched to determine the true history of each artifact. What other genealogy and history shows should we be watching this summer? Let us know in the comments and we’ll make sure to add the program to our Genealogy TV Shows board on Pinterest. Follow Genealogy Bank’s board Genealogy TV Shows on Pinterest.